I had been meaning to write an update post for quite some time now – there’s a lot going on, and I wanted it documented for purposes of our own reflection and prosperity. Plus, I felt this would be the most efficient way to let our relatives know en masse that we were preparing for some major (good) changes in our lives. First, we bought a new house. I wrote posts on two of the homes we toured, here and here. We purchased Paradise in the Pines. We sold our old house, which was crazy because it was listed at noon on Tuesday and under contract by 9 a.m. on Thursday! I published the Final Reveal Tour of the Tri-Level here, with the beautiful listing photos that were posted on the MLS. I was able to open enroll the kids into their current school. The new house is zoned for a neighboring school district. Landen especially voiced his opinion and preference for staying at “his” elementary school. He’s got a good routine, good friendships, and he loves the lacrosse league he plays for. We took the kids’ input to heart during this entire process, since this was/is their house too. And aside from having a large outdoor space to play on, they also wished to stay at the same school. Thankfully, it’s all working out for the best. Both Landen and Madelyn were excited to learn they’d be able to continue with their current enrollment. With those three major items cleared, we are moving forward one step at a time. I do feel like selling a house is slightly more stressful than buying one, and doing both simultaneously has been quite the experience. 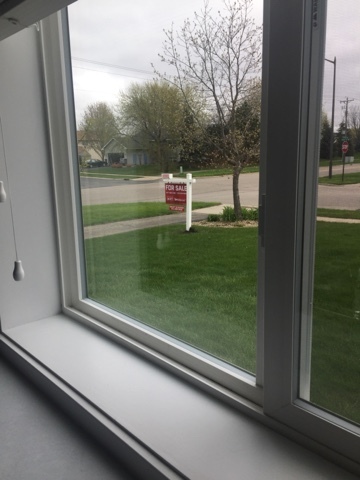 But it’s also been incredibly helpful to have our realtor guiding us through these processes, because I would have otherwise lost my mind a long time ago. She deserves all of the 5-star reviews of awesome. There is still a lot to be done, and we are anticipating a June move. TL;DR – Buying, selling and moving this summer!